Snow was the word for today. 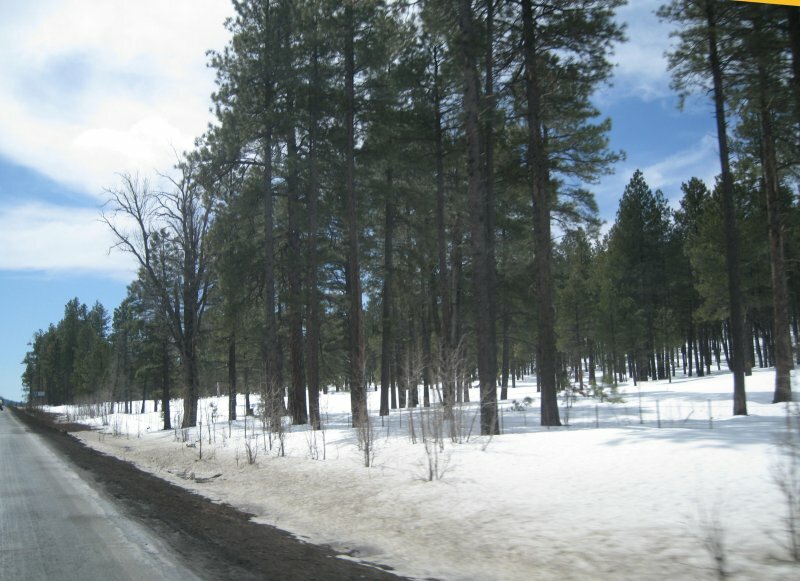 We climbed to 7,000 feet near Flagstaff before heading south to Sedona. It was great to see the snow but not have to worry about the roads. On our last trip in 1987 we got to Flagstaff at night and had to go down 2,000 foot steep, winding Oak Creek Canyon Road in the dark. It was frightening. Today after 23 years we saw what we had missed. It was beautiful but probably the wildest corkscrewing main road in the country. As in 1987 when we couldn't fint the hotel we had lots of trouble finding the campsite. The GPS kept taking us up wrong roads. However, we did get to the Rancho Sedona RV Park (formerly the Rancho Sedona Mobilodge) which is the only RV Park anywhere near Sedona.